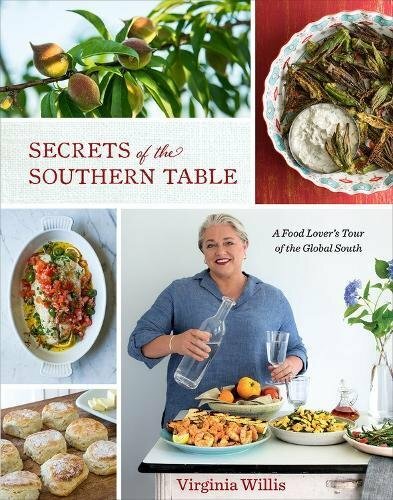 In the summer season premiere of Eat Your Words, Cathy is joined in-studio by Virginia Willis, a James Beard-Award-winning author of 5 cookbooks, to discuss her latest: Secrets of the Southern Table. Virginia shares how much of a departure this book is from her rest, as she seeks to expose Southern cooking as the multicultural cuisine that it is. From Chinese immigrants to African ingredients cultivated by enslaved farmers, the diverse landscape and long growing season of the South has lent itself to a multifaceted cuisine that is far from just fried chicken & biscuits. Tune in to hear why Virginia thinks it’s important to redefine Southern cuisine in today’s divisive atmosphere.